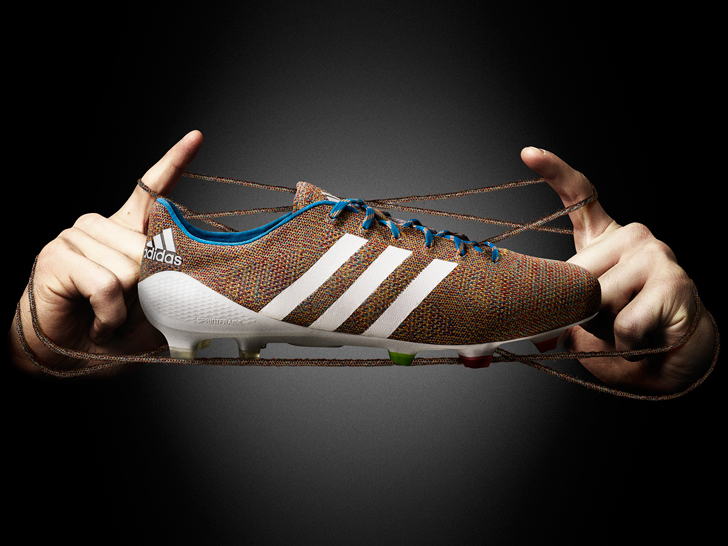 Adidas has debuted what it claims is the "world's first knitted football boot." Unveiled Thursday, the "Samba Primeknit" is the first football boot to feature an upper that is knitted from heel to toe, according to the sportswear giant. The result, it says, is a "bespoke second-skin fit" that combines the responsiveness of playing barefoot with the stability and strength of a conventional boot. In addition, each yarn features a special coating that "guarantees" water-resistance on the pitch. Another plus? Because its one-piece upper is constructed without any wastage of material, the Samba Primeknit is also said to be Adidas's most sustainable football boot. Adidas’s “Primeknit” technique bears more than a few passing similarities to Nike’s “Flyknit” technology. Adidas’s Primeknit technique bears more than a few passing similarities to Nike’s “Flyknit” technology, which premiered in February 2012. Adidas introduced its version five months later, a week before the London Olympics. A legal battle between the brands soon ensued, with Nike crying patent infringement on the one hand and Adidas arguing that people have been fusing yarn to make shoe uppers since the 1940s on the other. A court in Nuremberg, Germany, eventually rejected Nike’s request for an injunction against Adidas. Although Nike has previously teased its own knitted football boot, the point goes to Adidas for making a formal announcement first. It doesn’t hurt that Adidas has Luis Suarez on its side. The Liverpool striker will don the shoe on the soccer field next month, ahead of its March 17 release at select retailers . "Primeknit is a technology that is right at the heart of adidas innovation and we're excited about introducing this development into football," says Markus Baumann, senior vice president for global football at Adidas, says in a statement. "By producing the world's first knitted football boot we have provided a brand new solution to the search for higher levels of comfort and flexibility." 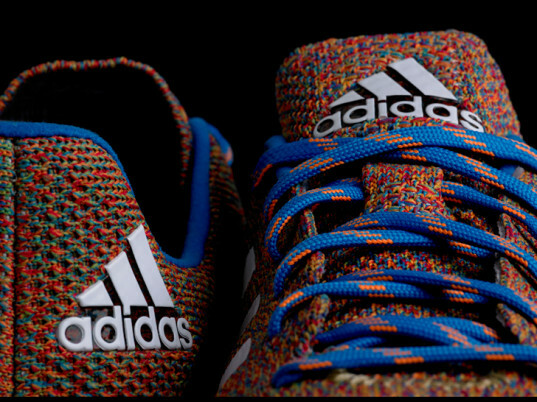 Adidas's Primeknit technique bears more than a few passing similarities to Nike's "Flyknit" technology, which premiered in February 2012. Adidas introduced its version five months later, a week before the London Olympics. A court in Nuremberg, Germany, eventually rejected Nike's request for an injunction against Adidas. Although Nike has previously teased its own knitted football boot, the point goes to Adidas for making a formal announcement first.